Deepest condolences are extended to our President, John R Owen AM, on the passing of his father, Raymond C Owen OAM (30/1/1927 – 1/3/2019). Ray was a distinguished and long serving administrator, teacher and private practitioner in Western Australia. He was made a Fellow of the International College of Dentists in 1982 in recognition of his outstanding contribution to our profession and to the community. Ray was Past President and a Life Member of the WA Branch of the ADA. He was a founding member and Honorary Life Member of the Dental Study Group of WA. Ray is survived by four children (John, Jenny, Geoff and Carey), 11 grandchildren and 10 great grandchildren from his 45 year marriage to Margaret and by his wife, Liz. As friend and colleague, Pat Colgan, said, “Ray was a great achiever but never exalted, a leading professional but always a colleague and above all, a quintessential Australian and genuine friend”. A memorial service will be held for Ray at the Karrakatta Cemetery at 10:30 on Saturday, March 16th. John presents his father with an ADAWA 60 year pin. The latest ICD induction ceremony was conducted in Auckland on August 17th at SkyCity during a luncheon for all ICD Fellows and their guests. 64 Fellows and guests attended the luncheon with 17 new Fellows being inducted. This was the largest induction ceremony ever held in New Zealand, surpassing the 2015 New Zealand induction by one new Fellow. Dr John Owen AM and Dr Tom Tseng, President and Registrar of the Australasian Section of ICD respectively, officiated at the induction ceremony. International President, Dr Clive Ross CNZM, inspired the new Fellows with his address to them. Special guest speaker, Dr Susie Sanderson OBE, President of the British Dental Association, spoke on “Community – different generational approaches to involvement in the profession” at the luncheon. An ICD induction ceremony and dinner were held on the evening of Friday, March 24 at the Parkroyal Darling Harbour. More than 120 Fellows and guests attended the induction ceremony and dinner. 37 new Fellows were inducted into Section VIII on the night: Shilpi Ajwani (NSW), John Christensen (QLD), Timothy Crofts (WA), Phillip Deane (QLD), Tihana Divnic-Resnik (NSW), Hayley Dixon (NSW), Alannah Freer (QLD), Russell Gordon (WA), David Grant (VIC), Chris Handbury (TAS), Denice Higgins (SA), Alex Holden (NSW), Brian Hurwitz (WA), Ralph Kelsey (QLD), Errol Kilov (TAS), Lydia Lim (NSW), Dominic Longo (WA), Jane McAdam (QLD), Timothy McAnulty (NSW), Maria McGowan (QLD), Vasuki Mylvaganam-Delillo (NSW), Chaturi Neboda (WA), Ky-Anh Nguyen (NSW), Anthony Rotondo (QLD), Lydia See (WA), Mahmood Siddiqi (Papua New Guinea), Cecilia So (NSW), Axel Spahr (NSW), Mark Spencer (NSW), Smitha Sukumar (NSW), Vijay Tumuluri (NSW), Naveen Vellore Loganathan (NSW), Vanessa William (WA), Valerie Woodford (QLD), Munira Xaymardan (NSW), Qingsong (Adam) Ye (QLD) and Geoffrey Young (NSW). Wendy Toulmin AM and Keith Mentiplay were also inducted as Honorary Fellows of Section VIII. There were many highlights to what was an exceptional evening of camaraderie and professional recognition. Dr David Sheen AM shared his inspiring experiences volunteering in Timor Leste over the past 17 years through his presentation entitled “Volunteering in Timor Leste: What has been achieved? Where to next?” Dr Graham Toulmin AM gave an entertaining and inspirational presentation on the 30 years of volunteer work in Congo/Zaire by him and his wife, Wendy, entitled “Thirty Years Work in Congo – Past, Present and Future”. Another highlight of the evening was the awarding of Honorary ICD Fellowships to Wendy Toulmin AM and to Keith Mentiplay. The vast and invaluable contributions made by Wendy in establishing dental clinics and educating Congolese citizens during her 30 years of volunteer work in Congo/Zaire under challenging conditions were hardily acknowledged by all present. Keith Mentiplay is well known and well respected within the dental profession and dental industry in Australia from his many years as the General Manager of Adec Australia and as previous President of the Australian Dental Industry. His leadership and personal commitment to dental volunteer projects and other significant initiatives in dentistry continue to this day. To add to the significance of the evening, Dr Mahmood Siddiqi became the first dentist from Papua New Guinea to be awarded ICD Fellowship in the 98 year history of ICD. Mahmood, his wife and three children were joined at the induction ceremony by Dr John McIntyre AM (SA) and A/Prof Len Crocombe (TAS) who have worked with Mahmood in PNG for many years and who nominated Mahmood for ICD Fellowship. Many special guests joined us for this outstanding evening in Sydney: ADA President, Hugo Sachs; ADA CEO, Damian Mitsch; ADA NSW President, Neil Peppitt and his wife, Casey; ADA NSW CEO, Stes Stengos; NZDA President, Bill O’Connor and his wife, Liz; GM of Henry Schein Halas, Mike Levey; former Section VIII President, David Thomson (QLD) and his wife, Monica; Honorary Fellow, Peter Lazar AM; leaders of volunteer projects Sandra Meihubers AM, David Digges, Jonathan Cole (NZ) and David Goldsmith (VIC). And, of course, our esteemed International President, Clive Ross CNZM and his wife, Wendy, were there. Congratulations are extended to all our new Fellows. Welcome to the International College of Dentists! 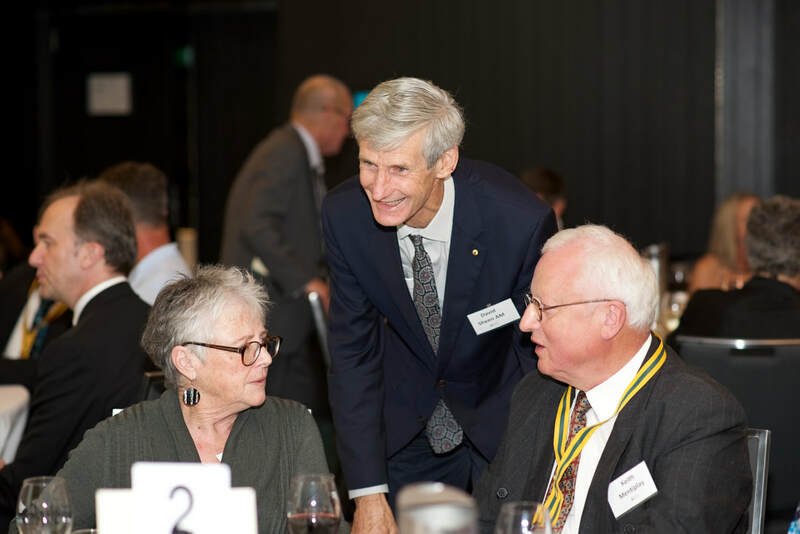 Our deep appreciation is expressed to David Sheen AM and Graham Toulmin AM for their years of volunteer work in challenging conditions in underserved communities and for graciously sharing their experiences with us on the night. 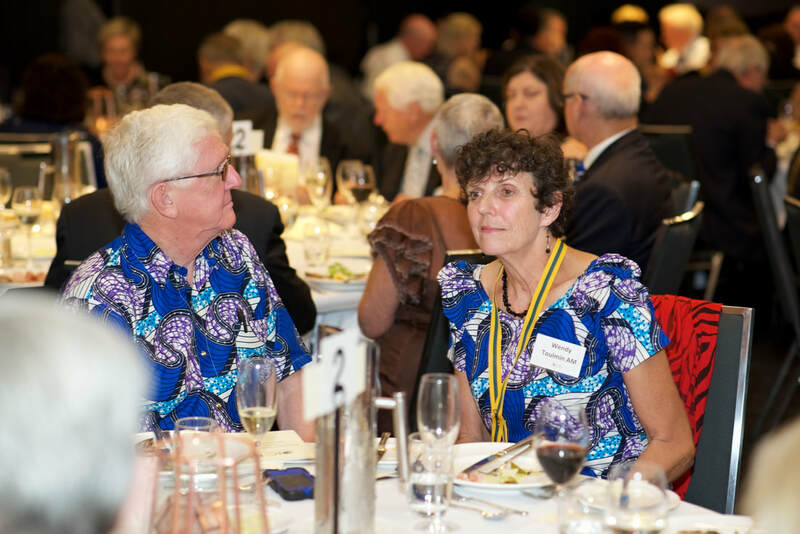 Photos of the 2018 Sydney induction ceremony and dinner are posted on “history/photo albums” section of this website. At the 2017 International Council meeting in Taipei, Dr Clive B Ross CNZM was inducted as Internation­al President of ICD. Clive will serve as Internation­al President until the 2018 Council meeting in New York next November. Only two Fellows of Section VIII have previously served as International Presidents: Gordon Rowell (NSW) in 1978 and Sydenham Dobbin (NSW) in 2000. Clive is the first Fellow from New Zea­land to serve as International President. Dr Clive Ross has been a Fellow of the Australasian Section of the International College of Dentists since 1976. He was elected to the Board of Regents of Section VIII in 2001 and has served continuously on the Board since. Clive has served as an International Councilor for Section VIII since 2008. In 2010 Clive Ross became the first Section VIII Fel­low elected to the position of International Treasurer and the first Fellow from New Zealand to hold an Ex­ecutive position on the International Council of ICD. Clive served as the International Treasurer until Oc­tober 2014 when his term of office concluded and he became the International Vice-President. In 2016 Clive became International President Elect. The Section VIII Board is pleased to advise that five Fellows from our Section were recognised in the 2018 Queen’s Birthday Honours: Gerard Condon AM (VIC), Kerry Eugene AM (NT), Shane Fryer OAM (NSW), Robert Love ONZM (New Zealand) and David Sykes OAM (NSW). Recognition was also given posthumously to Bruce Johnson OAM (QLD) who passed away last year. Dr Gerard David CONDON was made a Member (AM) in the general division of the Order of Australia for his significant service to dentistry through executive roles with professional bodies at state and national level. He has served in positions on the Australian Dental Council, the Dental Board of Australia, the Dental Practice Board of Victoria, the ADA Inc Infection Control Committee and the ADAVB. Gerard has been a clinical demonstrator at the University of Melbourne since 1975. Dr Kerry Francis EUPENE was made a Member (AM) in the general division of the Order of Australia for his significant service to dentistry, to the Indigenous community of the Northern Territory and to agricultural and horticultural associations. Kerry has had positions in the Northern Territory Branch of ADA Inc, the Northern Territory Department of Health and the Dental Society of the Northern Territory. He was the Northern Territory Representative on the Australian Dental Council. Dr Frederic Shane FRYER was awarded a medal (OAM) of the Order of Australia in the general division for his service to dentistry through positions held in the Australian Dental Association Inc, the NSW Branch of the ADA, the Australian Society of Orthodontists and the Australian Dental Research Foundation. Professor Robert Matthew LOVE was named an Officer of the New Zealand Order of Merit (ONZM) for his services to dentistry. Robert is a recognised international expert in dental accreditation, education and regulation and a multi-award-winning researcher. He has held senior positions with the University of Otago Faculty of Dentistry, including Professor and Head of Department, Department of Oral Diagnostic and Surgical Sciences, Deputy Dean and Discipline Head of Endodontics. He developed generalist and specialist clinical programmes that have educated New Zealanders and led to internationalisation, in particular providing higher education for practitioners in the Pacific Islands. He is a member of the editorial boards of three major journal publications in his field and has given numerous national and international presentations. He was an inaugural member of the joint accreditation committee with the Australian Dental Council and initiated a partnership with the Commission on Dental Accreditation of Canada. Professor Love has been involved in international benchmarking of assessments of overseas dental practitioners to set global transparent standards. 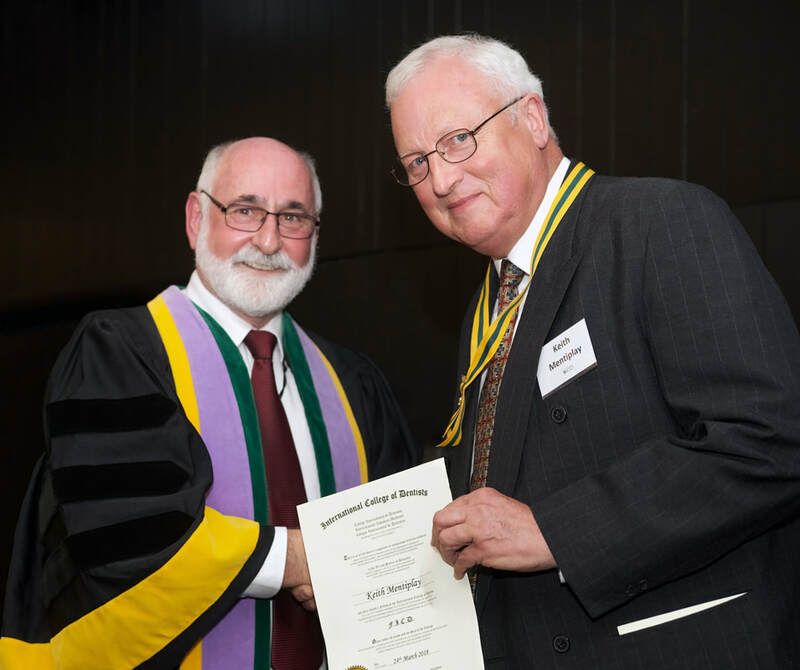 Dr David Gerald SYKES was awarded the medal (OAM) of the Order of Australia in the general division for his service to dentistry, particularly to prosthodontics. David has served on the Australian Dental Council and has held positions in the Australian Prosthodontic Society, the ADA Inc, the Dental Board of NSW and the Royal Australasian College of Dental Surgeons as well as serving on a range of committees such as the Prosthodontics Board of Studies, the Continuing Professional Development Committee and the NSW Regional Committee. He has contributed to dental education at the University of Sydney.